The holidays are behind us and New Year’s resolutions have started. Or, if you’re not that committed, started and finished. Regardless of your goals for 2019, you may find yourself in the gym a lot, and while that’s wonderful for your health, it’s also harmful. And don’t we all want to go into the new year with the flu? 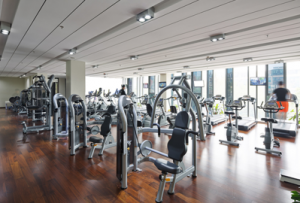 Fitness facilities can be a hotspot for germs, and it makes sense when you think about the combination of humans and sweat in one building. When you sweat on a machine, or while using weights, you leave germs behind. The others who use this equipment do the same. It’s one big germ exchange. (More Info) The good news is, this is no reason you need to stop going to a public gym or stop sharing equipment. Disinfecting surfaces before and after you contact them can make all the difference. When in doubt, assume the user before you did not clean off the equipment. The phrase “better safe than sorry” has never been truer. Let’s face it, you can’t avoid sweating at the gym, and if you’re trying to, you might be in the wrong building. You’re going to spread saliva and sweat when you workout. And so are others. But the use of hand sanitizer and disinfectants means you’re free to sweat wherever and whenever you went. Well, maybe not wherever. Staff at these gyms should use disinfectants daily and wipe down their gyms during off hours. If a disinfectant is allowed to sit on the machines or equipment for ten minutes or longer, bacteria will be completely destroyed. There are specific products that can help with this. (link) This really benefits gym owners, as a clean gym is a healthy one and healthy members are able to return day after day. If we all resolve to implement cleaner habits in our daily lives, 2019 is going to be the year our immune system wins.